Even without major updates, we can't help but love these cars. Cars can be a lot like smartphones. People rush out to buy a car with the latest tech features, then realize that their car is already out of date by the time they get home. Some cars remain a bit more future-proof than others and stay on the market well past their prime. We've done our list of five outdated cars that we think should be retired, but this list will be the complete opposite. It features five cars that have been on the market for a while and aren't as fresh as their competition, that we still love them regardless of their age. 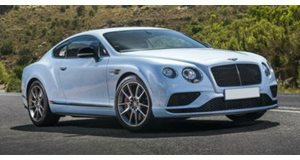 It's almost impossible to believe that the Bentley Continental GT has been on the market since 2004. The car is currently in its second generation, which arrived in 2011. Even though the second generation looks as similar to its predecessor as most 911 models do, Bentley somehow managed to keep the Continental GT looking fresh. Adding Audi's 4.0-liter twin-turbo V8 was a great way to keep the car fresh, and building a 700 hp Supersports version doesn't hurt either. The Continental GT is still based on the old Phaeton platform and uses an old infotainment system from VW. We still love the Continental GT despite some of its flaws. The Audi RS7 is the second car from the VW Group on this list. Volkswagen has a habit of letting cars stick around too long without a significant update. 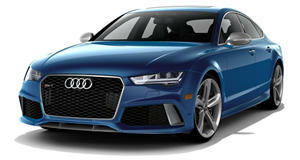 Audi gave the RS7 a new performance version with 605 hp, which kept it competitive. The RS7 Performance is powerful enough to keep up with the new Mercedes E63 AMG and BMW M5, but those cars blow the RS7 away in technology. The interior of the RS7 was cutting edge when it was released in 2013, but Audi needs to update the car with the new Virtual Cockpit system to keep it competitive in the segment. We still love the RS7 performance and can get over the outdated interior tech. 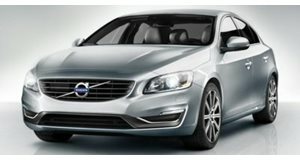 The S60 and V70 were the last models in the Volvo lineup to receive the new twin-charged four-cylinder engine. These cars finally have Volvo's latest engine, but lack the Sensus Connect infotainment that its new cars already have. This is the system that debuted on the new XC90 and it is miles better than the old system. Even with new engines, it seems like the S60 and V60 Polestar models are stuck a few generations behind the competition. These cars are the last Volvo models that aren't based on the company's Scalable Product Arcitechture. We'd like to see them receive hybridization with over 400 hp, but we are just happy that Volvo still makes an awesome wagon. Lotus has been building the Evora since 2010, and it is very apparent that the car is aging. The Evora is still plenty fast and Lotus keeps upping the power and creating new special editions to try to keep us interested. The most powerful Evora now produces 424 hp from a 3.5-liter supercharged V6. That engine is still the same basic unit that Lotus sourced from the Toyota Camry. 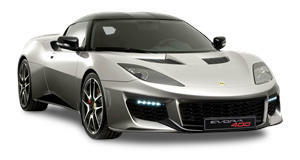 If Lotus wants to compete with Porsche and BMW, it needs to replace the Evora with something new. Lotus really doesn't have the cash to build a new car, which is why the Evora has lasted so long. This is a very unique car on the market and we are glad that it still exists. The current Jaguar XJ has been on the market since 2010. The XJ was a radical departure from its predecessor, which basically looked the same since 1994. More recently, Jaguar has refreshed its lineup with new SUVs, the XE and a refreshed XF. We know that Jaguar will soon replace the XJ, but that doesn't mean that we don't love the current model. The XJ is different than a Mercedes S-Class or BMW 7 Series because it is more of a driver's car, even with its large size. 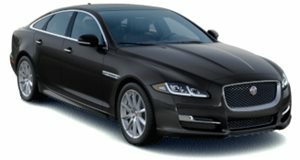 We hope that the next XJ retains its unique driving dynamics that really stand out in this segment.